Simply call us on 13 22 31 and speak to one of our friendly team or complete the form on the right and we'll be in touch. Hello! I’m Jenny Smith from our Cheltenham office. You probably already know that if your carpets don’t undergo regular cleaning by a professional carpet cleaner they’ll become damaged permanently with unsightly stains, traffic lanes and discolouring.But there’s an even more urgent reason to ACT NOW!Unclean carpets can also pose a health risk to you and your family exposing them to hrmful air pollutants that creates the perfect environment for asthma, eczema, rhinitis or allergic attack. Choosing the right carpet cleaner is critical as choosing the wrong carpet cleaner could mean that your carpets can be ruined with permanent stains, unsightly traffic lanes, discolouring, permanent shrinkage. You may even find that your carpets can even get dirty again very quickly. For example, many cleaners still use an outdated hot water and chemical-agent cleaning system (often referred to as steam cleaning). Not only is this ‘steam cleaning’ method less effective, it can leave your carpets soggy and damp, and even cause shrinkage. In addition, the chemicals used can leave a sticky residue on the carpet fibres that cannot be removed by vacuuming. This sticky residue means that your carpet will attract new dirt faster and the harsh carpet cleaning chemicals used can also leave unpleasant smells. That’s why Myhome have developed our unique 6 Step Dry-Touch encapsulation cleaning system. Call us now 13 22 31 for a free, no obligation quotation. Or, click on the Free Estimate button below. The Dry-Touch System uses the power of encapsulation technology to give the most thorough and successful clean possible, with none of the unpleasant side effects of older cleaning systems. Encapsulation works by using specialist cleaning fluids that contain polymers as well as detergents. After the detergent has done its job in attracting the dirt, the polymers encapsulate the detergent along with the dirt and debris. This encapsulated mixture then dries almost completely and crystallises, allowing both the dirt and detergent to be safely vacuumed away, without leaving wetness or sticky chemical residue behind. Get your carpets cleaned now with this great offer from Myhome – 2 Rooms Cleaned for just $95! It doesn’t matter if you have furniture that needs to be moved, we do it all. Call 13 22 31 now to book – limited availability. A thorough pre-vacuum with specialist equipment to get to hard-to-reach areas such as tight crevices and edges. After a thorough inspection, your technician use a powerful non-toxic treatment and specialist equipment to pre-treat marks and stains. Your technician then layers your carpet with a polymer forming spray that reaches deep into the pile to attract dirt and grit. Using a specially designed orbital scrubber, your technician then massages the encapsulation spray deep into the individual carpet fibres – for a truly thorough ‘deep-down’ clean. Your carpets are carefully groomed using a process called Pile Alignment for a great finish and faster drying times. This is followed by further visit by your technician to check everything and to give your carpets a final thorough vacuum. Having your carpets thoroughly cleaned is as much about what you can’t see as what you can. It goes way beyond the surface. That’s because unclean carpets are a haven for dust, potentially harmful air pollutants and even dust mites – and dirt and grit deep-down in the pile of your carpet, can shorten the life of your carpets. Your home – a cleaner and healthier place. Using a specially designed orbital scrubber, your technician then massages the encapsulation spray deep into the individual carpet fibres - for a truly thorough ‘deep-down’ clean. 100% Satisfaction Guaranteed – We Get It Right or We Do It Again! We want you to be completely satisfied with your clean, which is why we guarantee that if you’re not completely satisfied with your clean, we’ll do it again completely FREE of charge! …and we cover many areas across Melbourne. 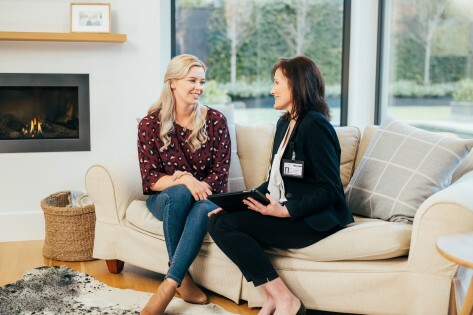 With our specialist Carpet Cleaning Service, you’ll enjoy spotlessly clean carpets that are hygienic, soft, smelling beautifully fresh and looking fantastic. Call us now 13 22 31 for a free, no obligation quotation. Or, click on the Free Quote button below to complete our simple Free Quote form and we’ll be in touch. Take advantage of our Carpet Cleaning special offer – 2 Rooms Cleaned (or a 3 Seat Sofa) for just $95! Call 13 22 31 now to book. Our MyHome Black Rock DRY-Touch carpet cleaning system is sophisticated enough to leave carpets walk-on dry in as little as an hour. With Healthguard infused right into our cleaning solutions, carpets are proficiently rid of fungi, bacteria and mould. The methods we use to clean with restore natural balance, brilliance of colours and softness to any carpet or rug. MyHome Dry-Touch never leaves carpets smelling like chemicals or dampness. A light, fresh and lemony fragrance is the only odour you will smell. Because we don’t use harsh chemicals, extreme heat or litres of water, there is no risk of stretching or shrinking your carpeting. We even vacuum your floors thoroughly before cleaning with our MyHome Dry-Touch Cleaning Service. Many reasons exist as to why residents of Black Rock choose carpeting and rugs to cover their floors. Those reasons include added warmth and coziness, as well as various colours, materials, styles and designs from which to pick to add to your personal style. Carpeting reduces energy usage because of the added insulation it provides. Children and pets enjoy this because it keeps them safer and warmer. To maintain your carpets properly, it is best to have them professionally cleaned regularly. Professional cleaning services such as MyHome Carpet Cleaning Service Black Rock help to keep your carpet and rugs clean, fresh and healthy while protecting your investment. Because of the revolutionary design of the Dry-Touch cleaning system, your carpets will last longer so that there is no need to replace them frequently. Most people are pleased to find that MyHome carpet cleaning never soaks carpets with lots of water. That is why you can walk on your freshly cleaned rug in about an hour. To show you how confident we are in our MyHome Black Rock Carpet Cleaning service, we guarantee that if you are not fully satisfied, we will come back and do it again with no added expense! We Do More Than Just Clean Carpets! Carpets Clean, Dry And Ready To Walk On In One Hour – Guaranteed! Some folks living in Black Rock believe there is little to cleaning carpets appropriately, but that is just not true. MyHome Carpet Cleaning Black Rock service never uses traditional carpet cleaning methods that rely on chemicals and hot water because that can damage rugs and carpets. 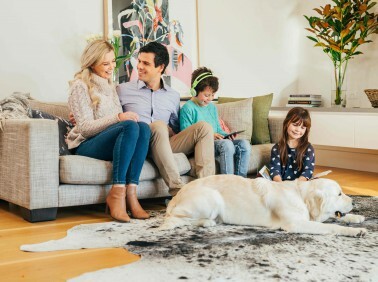 If you want hygienically clean carpets, without worrying about the risks and disadvantages associated with traditional carpet steam cleaning, give MyHome Carpet Cleaning Black Rock a call on 13 22 31 and ask for a free quotation at no obligation to you. If you prefer, you can contact us using our online enquiry form. Just fill in your information, and we will get back in touch with you shortly.